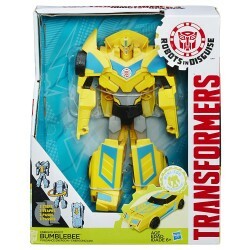 Experience the excitement of conversion in 3 awesome steps, with Transformers: Robots in Disguise Combiner Force 3-Step Changer figures. To convert this 3-Step Changer Bumblebee figure from robot to vehicle. Imagine charging into battle with figures that change modes in 3 steps! 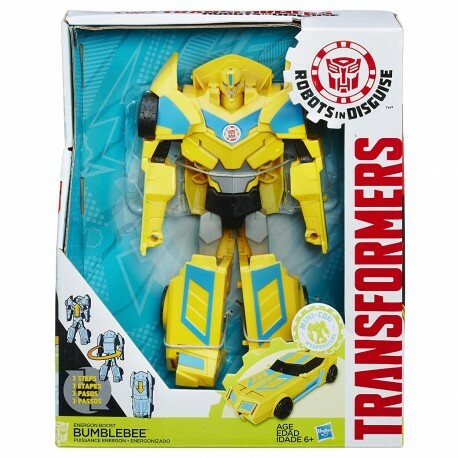 • 3-Step Changers Bumblebee figure. • Changes from robot to sports car and back in 3 steps. • Figure scale: 8 inches.